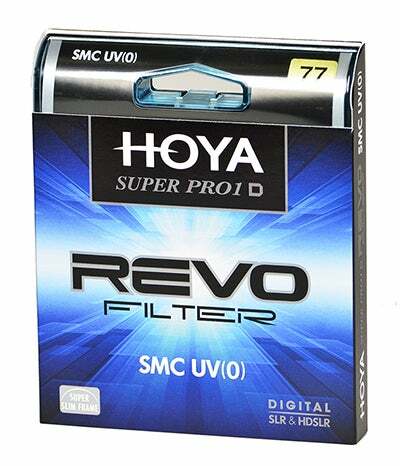 Hoya have announced the availability of its new REVO series of photographic filters, consisting of UV and Circular Polarising filters which add to Hoya’s already extensive catalogue of products. Hoya claim it is their exhaustive production process based in Japan utilising “precision optical glass” which is then “carefully smelted and blended to yield near perfect results” that will ensure the REVO series success and quality. Additionally Hoya state that they have built upon their Super Multi-Coating (IS-HMC) formula seeking to greatly reduce or eliminate reflections upon the surface of the glass. This patented coating is then overlaid with a clear water and stain resistant coating that Hoya claim will aid in cleaning and maintaining the filters. All coating layers are then applied in a furnace to bond the coating to the glass. This enhanced production process is an attempt to improve the filter’s performance in the field and ease of maintenance. The new Hoya REVO filters will be available in sizes from 37mm to 82mm. 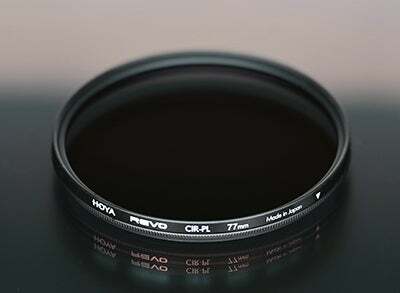 With the introduction of the REVO name comes the inclusion of very low profile aluminium filter frames which house the glass and keep it parallel to either the CCD or COS sensor, which Hoya claim will maintain its rigidity even after years of use. Furthermore, the low profile frame ensures the series compatibility with a wide array of existing super and ultra-wide angle lenses, in an attempt for Hoya to maximise their target audience. The Hoya REVO series will be available immediately in sizes from 37mm to 82mm, starting from £35.00 for the 37mm UV filter.